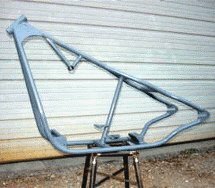 2 Gate Welding Projects, Tips, and Ideas! When you think of gate welding projects you tend to think of uniform gates that have a box section or angle frame and have round bar on the vertical but truth be told there is more to gate welding ideas than simple standard gates. Before getting your welder out there are a few thoughts that need to be put on paper as part of the design stage, these thoughts will make the back bone of any successful gate project. One of the first aspects of any successful gate welding project is to decide what you want from the gate you are going to create, it could be a security gate to protect an area from intruders or it could be an ornate gate to the driveway of somebody's home. The type of gate you're going to create is important as it has a big impact on the type of welding that you need to complete. Examples of different welding types for different gates are that a security gate needs to be made of heavy duty steel for protection purposes so needs a MIG welder while a simple gate to a drive way may use aluminum or stainless steel to give a lighter gate that requires a TIG welder. When thinking of building a security gate you will need metal materials and a MIG welder, this is because of the heavy duty nature of a security gate. 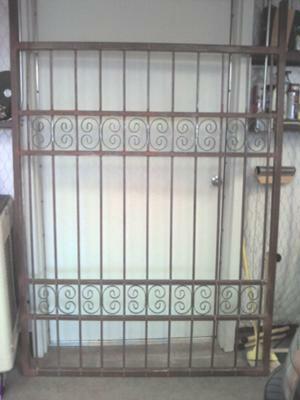 The main materials for a security gate are steel channel with box section and round bar. The channel will make the main frame of the outside of the security gate; this is the heavy duty area of the gate that offers the main protection. 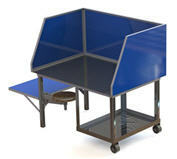 The box section is the support to the main frame and is normally found on the horizontal towards the middle of the frame. The round bar is on the vertical and is used to ensure potential intruders cannot gain access through the gate itself as they don't allow much space between each bar. As a security gate is made in its entirety of heavy duty steel a MIG welder is the welder of choice as this will give you a strong, unbreakable weld. 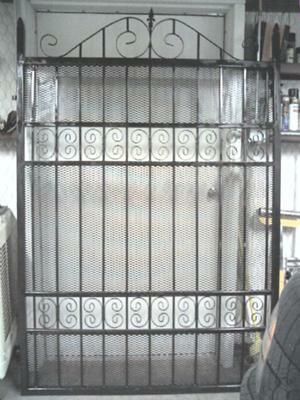 Depending on your requirements for an ornate gate for a driveway the choices are aluminum or stainless steel. Aluminum is the lighter of the two metals but if you are looking to add cast ornamental spikes for instance then you cannot use aluminum as the cast ornaments are normally made of steel. The materials for an ornate gate for a driveway is box section and/or angle for the frame and round bar for the uprights, there is then the materials required for the ornate sections. For the ornate sections you may want cast spikes for the top of your round bar and flat bar that is of a pliable thickness so it can be bent into wonderful swirls and rounded shapes. If you start an aluminum gate welding project then you will need a TIG welder as you cannot use a MIG welder with aluminum, for a Stainless steel gate you will need a MIG welder or TIG welder dependent on your skill level as MIG welding is generally easier. Think long and hard about your gate welding projects, its not just a matter of picking up a welder and welding some metal together, you have to think about what you want your gate to look like and the practical use of the gate.